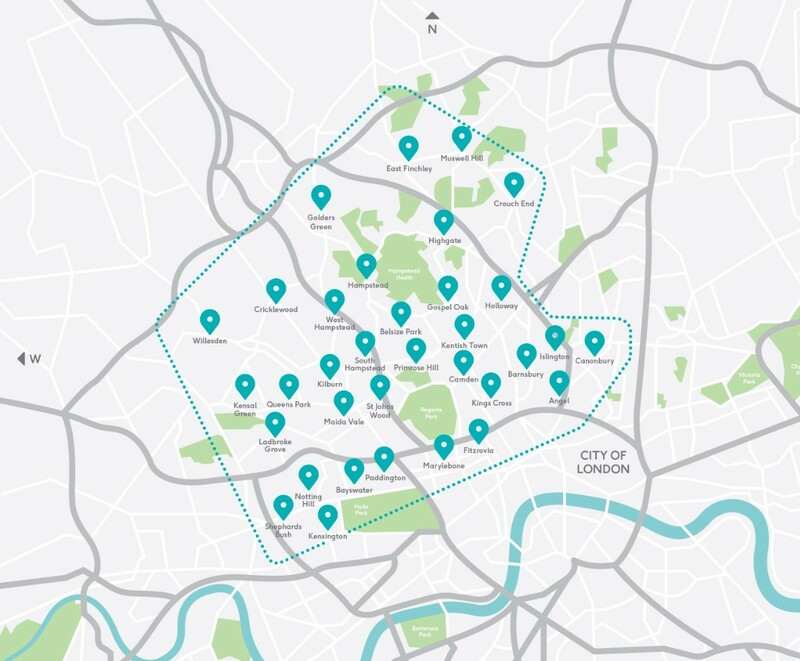 Our service area for our doggy daycare covers the entire N1 area, including Kings Cross. Pick up and drop off is included at Buddies and all of our vans are GPS tracked and fitted with air con and heating for our 4 legged passengers! We have a huge range of shapes, sizes and ages of dogs in our doggy daycare, and our land is totally private and secure so all dogs can be off lead all day no matter how good (or bad!) their recall may be! They can spend their days running in the meadows, playing in the tunnels, splashing in the pools, scrambling up the giant fallen tree trunks, or just taking a nap in the shade or a cozy heated shelter! We group dogs of similar size together so that the groups are as safe as possible and that everyone is evenly matched with buddies they can play or wrestle with. As well as acres of outdoor space, we have a huge indoor play barn for puppies and small dogs to play in, so even in bad weather the fun doesn’t stop! Filled with puppy friendly play equipment, and joining on to almost half an acre of clean woodchip to play outdoors on- this is the perfect place for little paws to spend the day! With experience working in the Blue Cross before coming to Buddies, Evie has a wealth of knowledge all things dog! She also lives close to Kings Cross herself so know the area like the back of her hand.